Happy Labor Day! I hope everyone has today off and is busy barbecuing and celebrating the last days of summer! 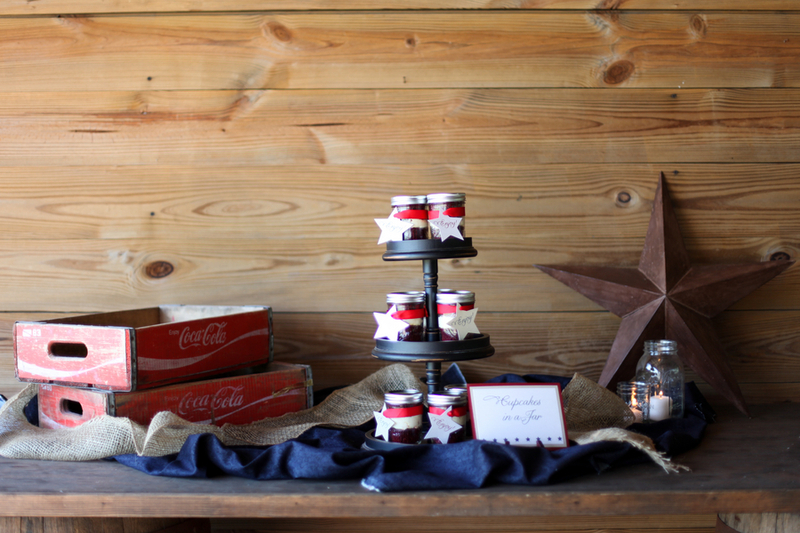 When my friends Simply Divine Events and Carrie Wildes Photography sent this “Americana” inspiration shoot my way, I knew it would be perfection for Labor Day! 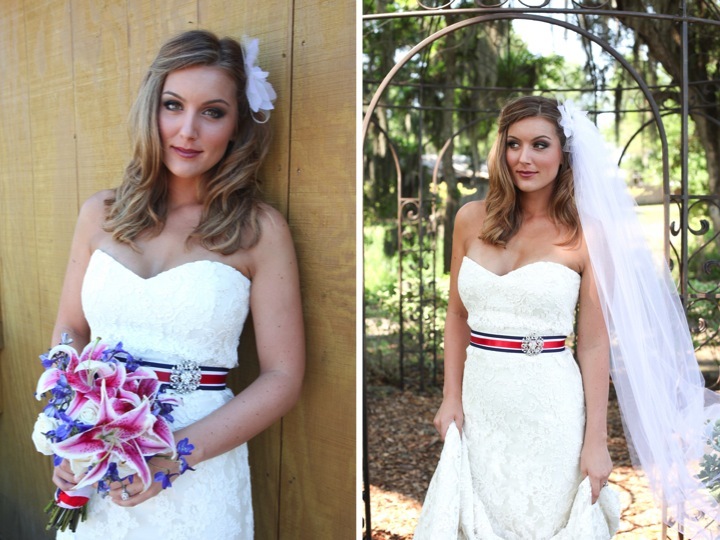 Red, white and blue with a vintage take… beautiful! 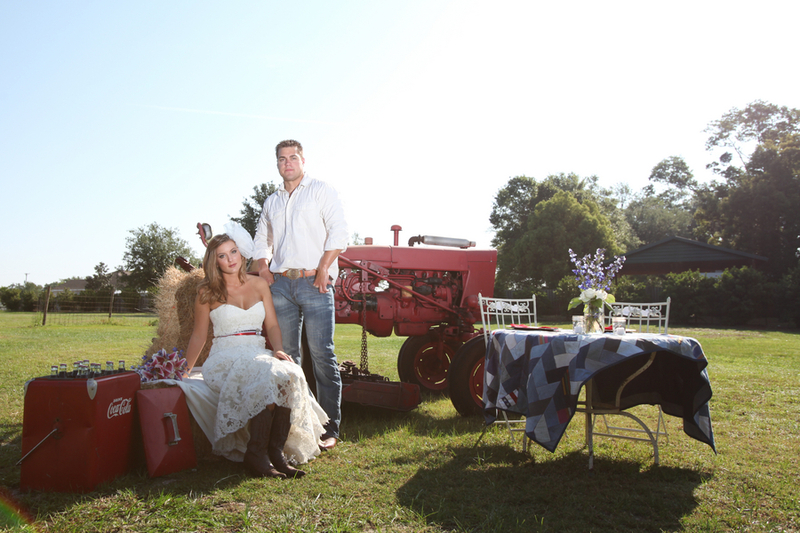 Simply Divine Events teamed up with Carrie Wildes of Carrie Wildes Photography to come up with an “Americana” themed inspiration shoot. 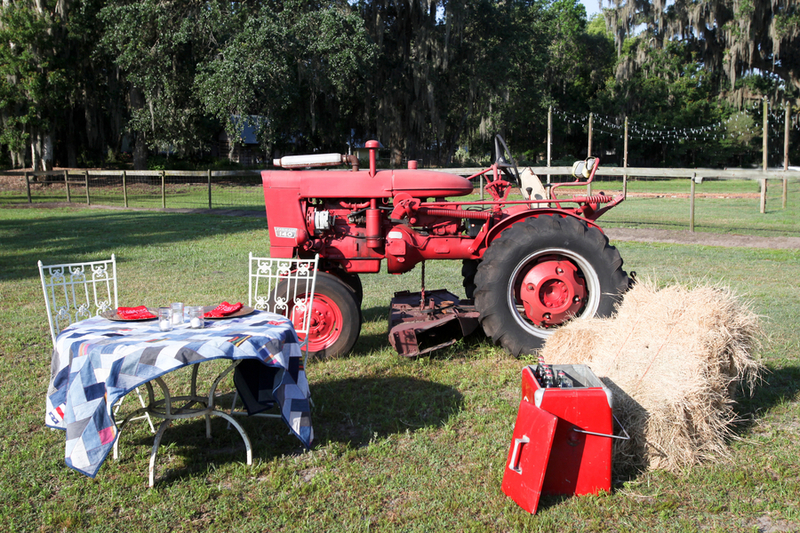 For the location, we wanted to find a local farm with some personality. We came across Cross Creek Ranch in Dover and it fit the look we were going for. 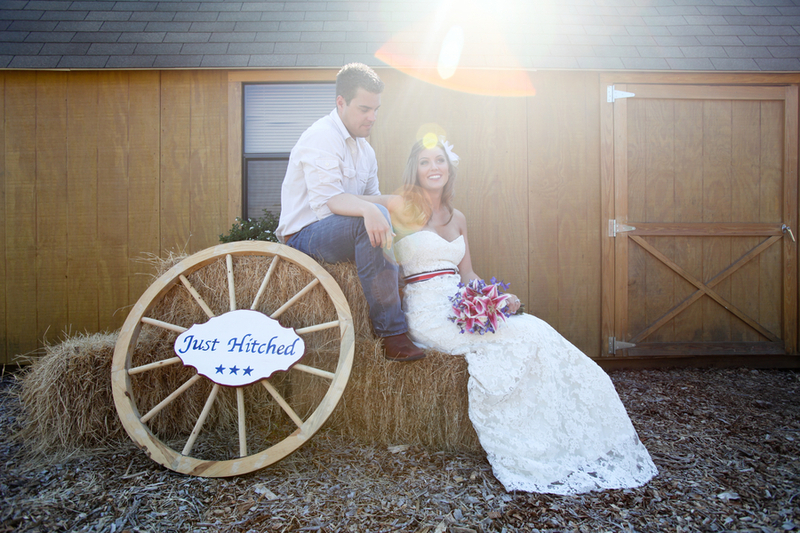 The Ranch serves as a wedding venue as well as a quaint bed and breakfast. 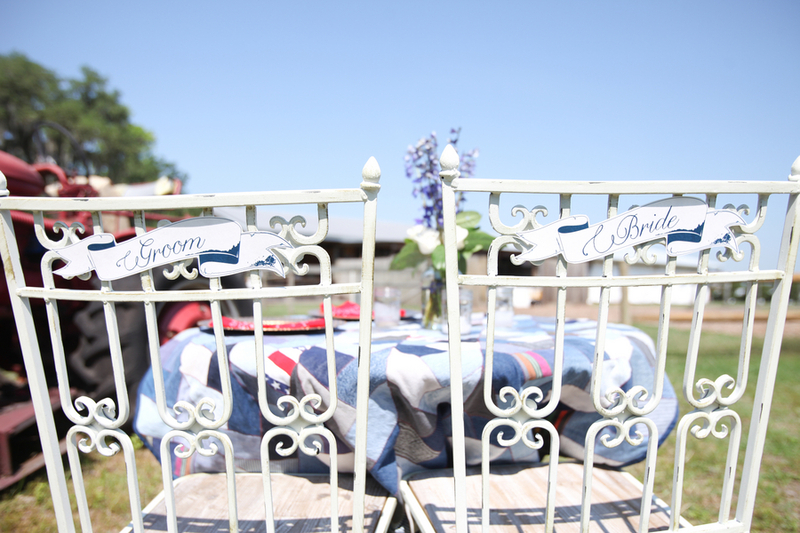 They have a beautiful wrought iron gazebo on property, great for ceremonies as well as a barn where the receptions are held. 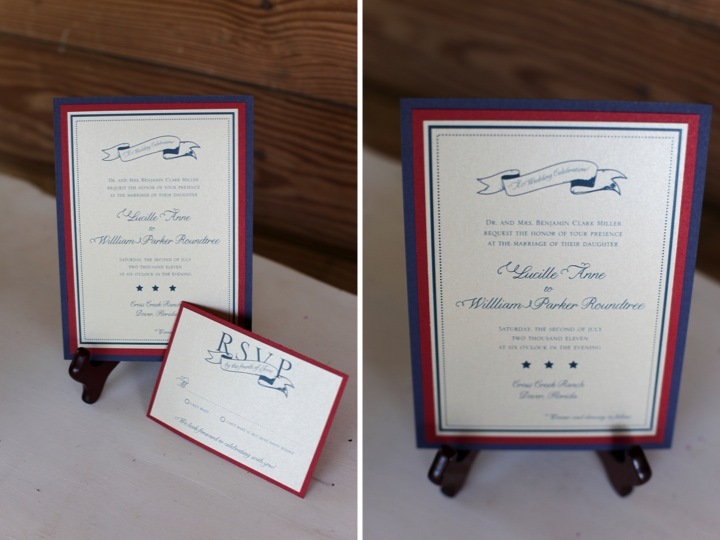 We didn’t want to go to flashy with details, so we stuck with more of a vintage look incorporating a pallate midnight blue, deep red and white in all the details. For the Bride, we chose the Pavlina gown from Anglo Couture. 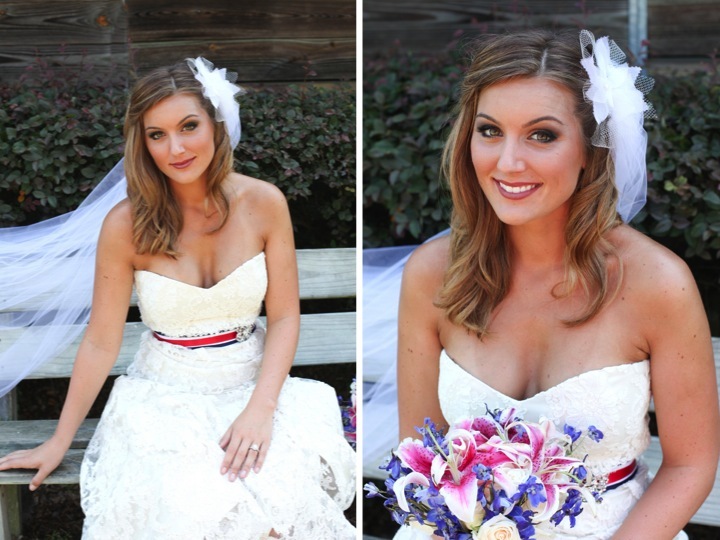 It is made with silk dutchess satin and French alencon lace and accented with a red, white and blue ribbon sash. For the groom, we kept it casual with a white button down shirt and blue jeans. 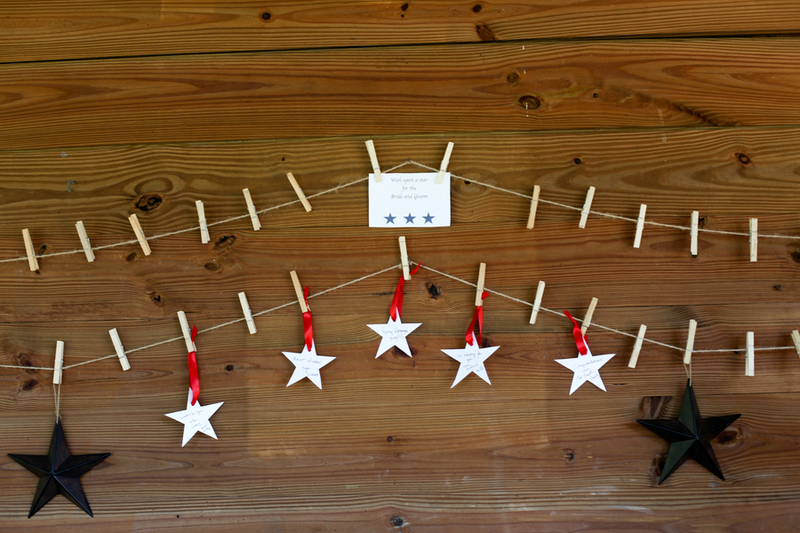 In leiu of a guest book we used a clothesline strung on the front of the barn, where guests “wished upon a star”. 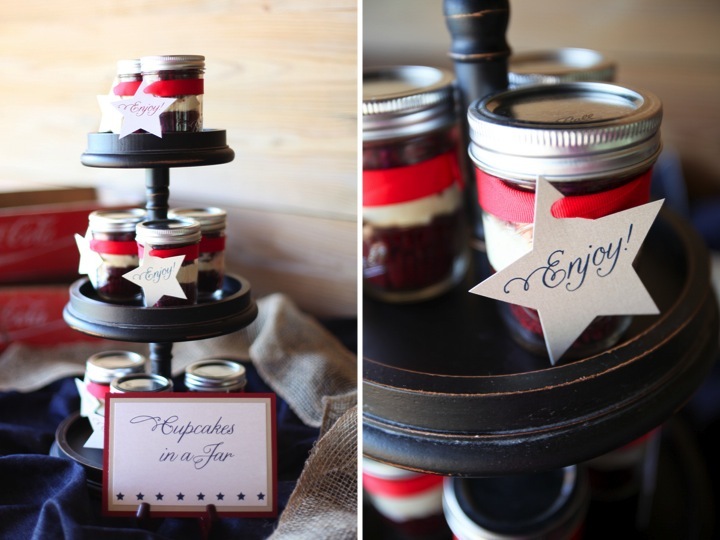 For favors, we chose a true southern favorite: red velvet cupcakes in a jar. This is an easy DIY favor for brides on a budget. All we did was take small mason jars and filled them with red velvet cupcakes topped with cream cheese icing. 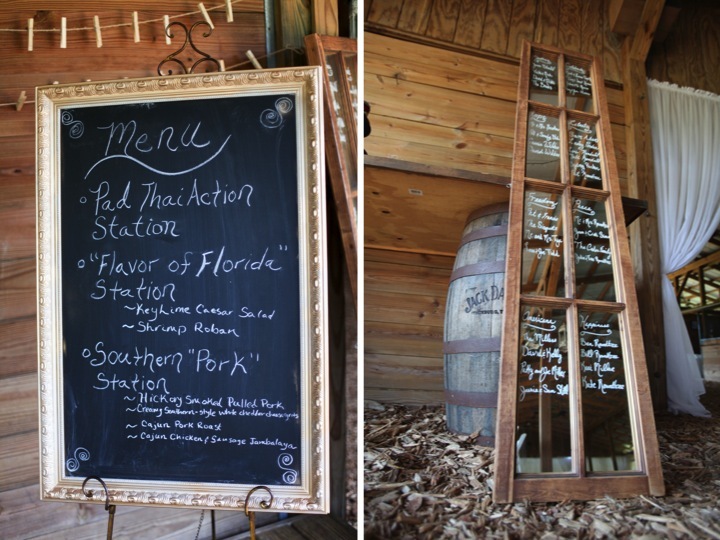 Another great find was a mirrored window pane, in which we wrote the table assignments on. 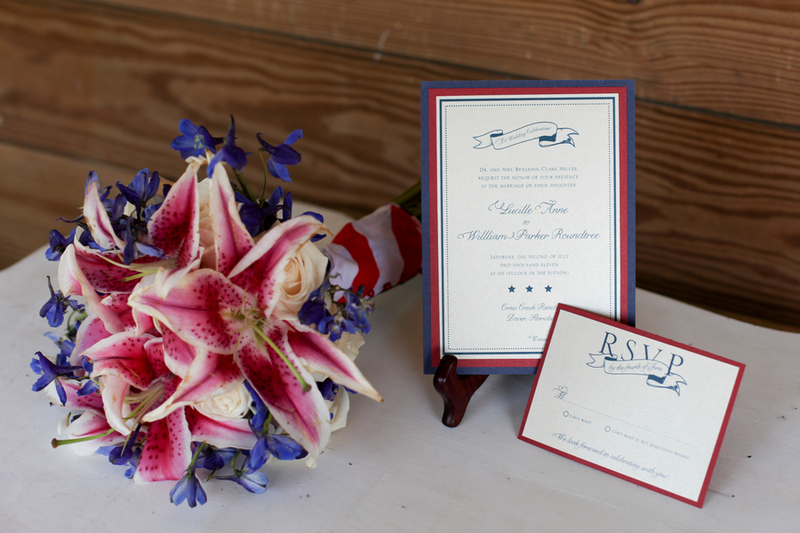 For tables, we kept with our All-American theme and named them after patriotic and inspiring words, such as “Peace”, “Liberty”,etc. I love the classic look of this shoot! A big thank you to Simply Divine Events and Carrie Wildes Photography for sending it our way! Happy Labor Day everyone! 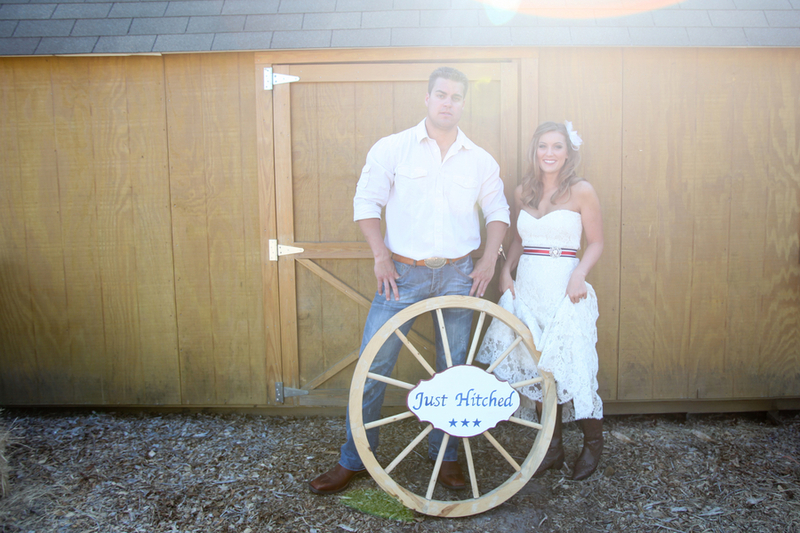 REALLY like the ‘just hitched’ wagon wheel – so fun! This is so pretty! Such a beautiful bride & gown!!! such a great set up! Love the pictures especially including the pup! 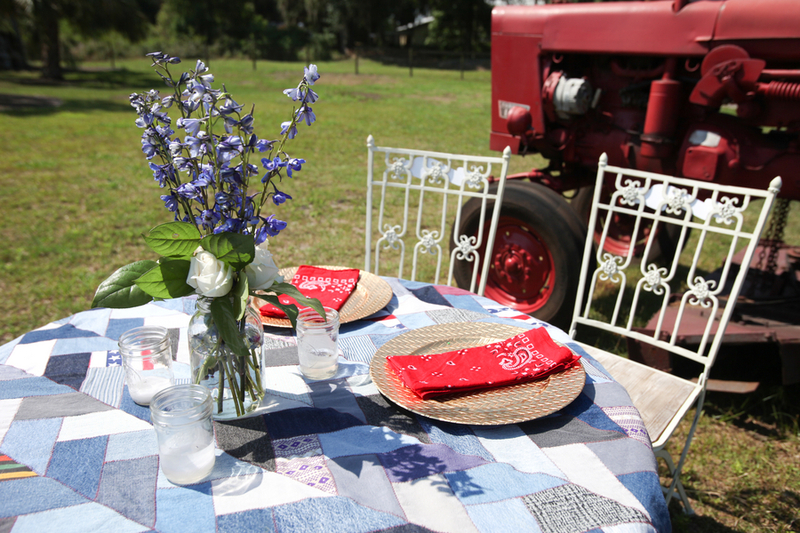 A quilt as a tablecloth? Perfect! 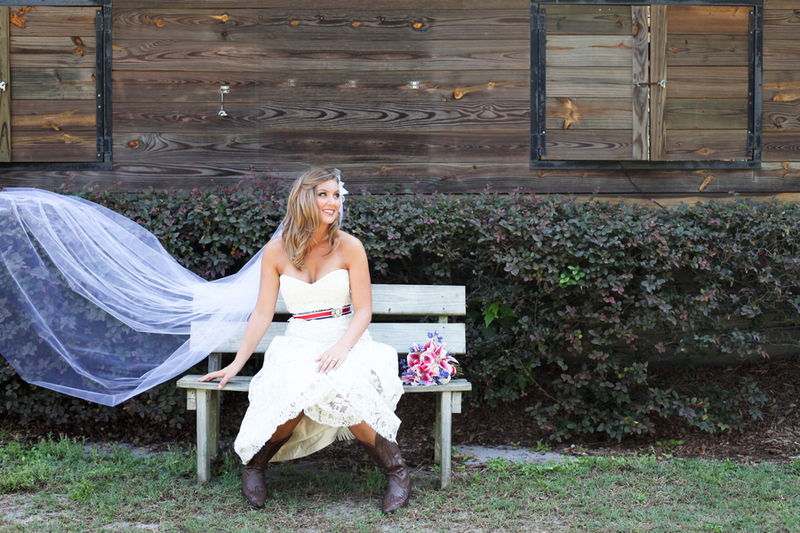 I’m loving this shoot–it’s modern americana at its best. Those cowboy boots with the dress are perfect too. LOVE!